Product code: W623 Categories: Sold Items, Sold Watches. 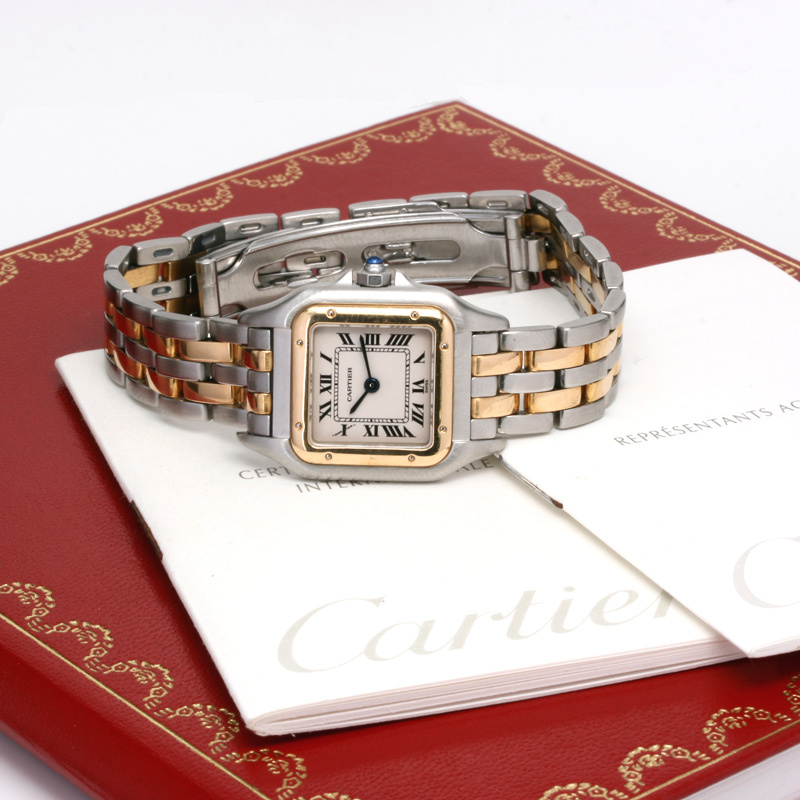 Perfect for any woman day or night comes this very elegant ladies 18ct and steel Cartier Panthere watch reference 1120. With the combination of 18ct yellow gold and stainless steel on the case and the band, the dial has the iconic black Roman numerals that radiate in size as it goes around and set against the white dial, the black hands make it so easy to read. The case itself measures 21.5mm across plus the crown and the Cartier Panthere has such a stylish look to it with the screw heads on the 18ct yellow gold bezel. Inside is a quartz Cartier movement that keeps accurate time and comes with our twelve month warranty and wont let you down. Complete with its box and papers, this Cartier Panthere dates from 1998, is in superb condition and will always remain so stylish and elegant as any fine Cartier watch always manages to do.